The AX-B1136TC, AX-B2120CW, AX-B2120RD, and AX-B2120ST inspection cameras have a long probe enabling you to evaluate the condition of your installation, and to reach even narrow gaps. Visit AXIOMET’s channel on YouTube! 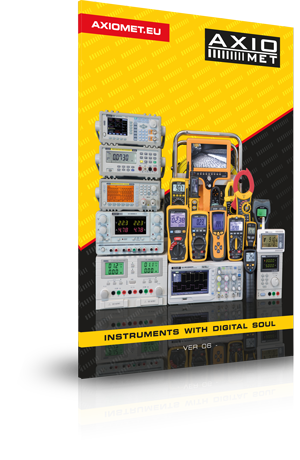 Learn more about how to use AXIOMET’s measuring and laboratory equipment in practice, its key parameters and available functionalities. The AX-215TIC and AX-205T portable, digital meters from AXIOMET allow you to conduct non-invasive AC current measurements of both sinusoidal and distorted waveforms thanks to the TrueRMS feature and the use of clamps. What is more, the AX-215TIC model enables direct current measurements.